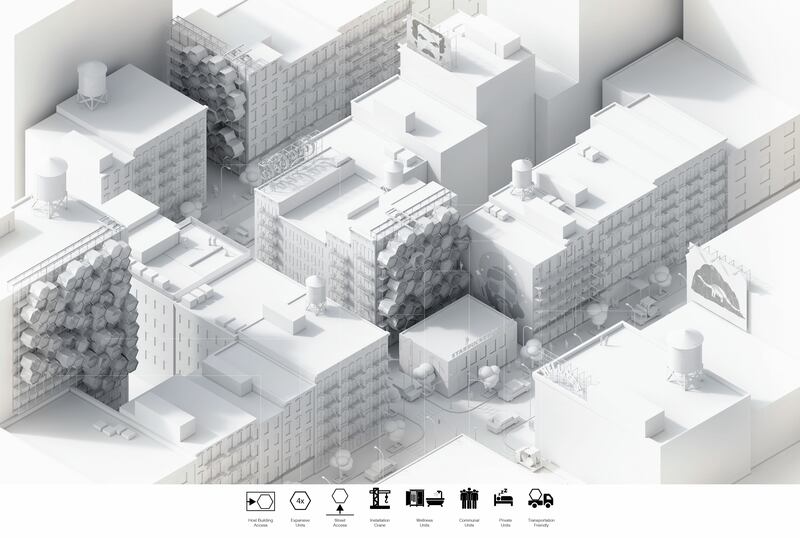 Creative agency Framlab has proposed the construction of micro-apartments on the side of buildings – a solution that benefits the homeless community as well as the city’s iconic architecture. The project, named Homed, launched in response to a stark increase in the number of people sleeping rough in New York City, which has risen by 40 per cent since 2012. The project is described as ‘Shelter with Dignity’, offering the elements of living that most of us take for granted – safety, cleanliness and comfort, to the less fortunate. The world is undergoing the largest wave of urban growth in history and the densification of our cities is pushing buildings higher into the sky and buyers out into the suburbs. Naturally, with increased demand, prices rise. A side effect of this is an increase in the number of people who are unable to afford to rent accommodation, let alone buy a home. And yet, the basics required for an easy night’s sleep are basic, and, as Framlab discovered, can be covered with a simple design in a very small amount of space. 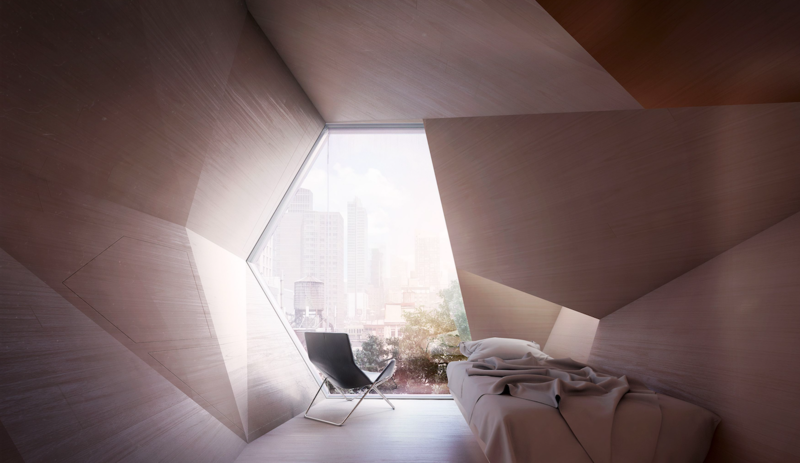 While a Homed pod may seem modest compared with a luxury modern apartment, it is an extraordinary upgrade from living on the streets. Of course, no architectural addition to New York is approved without consideration for how its design will affect the urban surroundings. So Framlab’s motivations were equally driven by compassion as they were by the ambition to create something beautiful. From the outside, Homed mimics honeycomb with adjoined hexagonal pods that protrude from the building. In want of a better word, the construction is architecturally parasitical, but achieves a statement of its own through the interesting structural composition. 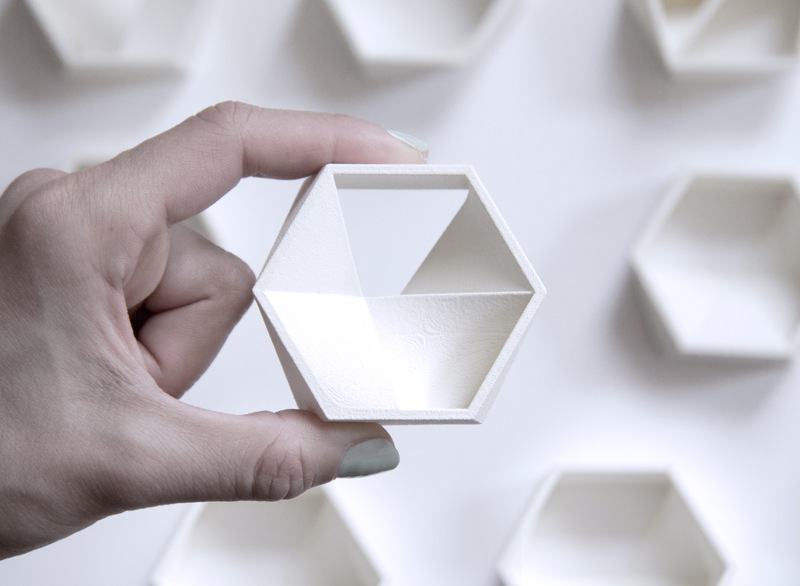 Within each hexagon, the living space is compact but cosy, basic but entirely sufficient. The modern technology employed to create the interiors has allowed for them to be produced efficiently and in varied designs through a streamlined manufacturing process. “The interior is made up of organic shapes of 3D-printed plastic that – clad with wood laminate – create a warm and friendly environment,” explains Framlab. By adopting a new view on spacial potential in current cityscapes – in New York and around the world – and considering current technologies in new applications, architectural design projects like this one can have a profound effect on the way our population cohabits. Read more lifestyle articles about topics related to apartment living.